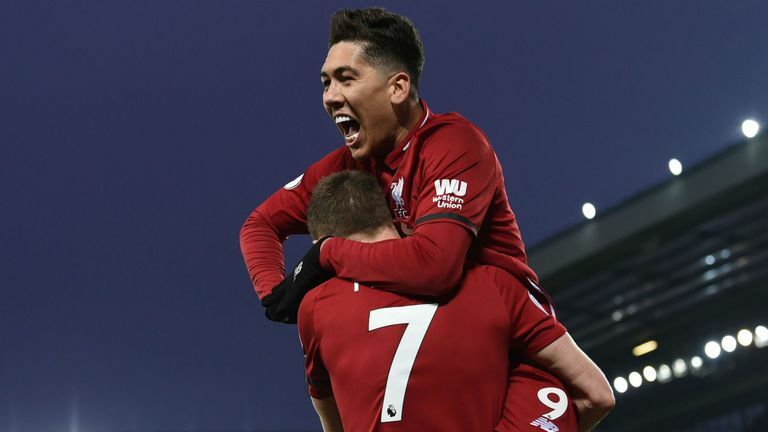 Liverpool overcame a strong challenge from Crystal Palace to win an exhilarating game 4-3 and extend their lead at the top of the Premier League to seven points. Having beaten Manchester City last month, Palace looked like they might have another say in the title race when Andros Townsend struck in the 34th minute at Anfield. Liverpool hit back after half-time with two goals in seven minutes from Mohamed Salah and Roberto Firmino, but James Tomkins headed in from a corner in the 65th minute. An error from 39-year-old goalkeeper Julian Speroni gifted Salah a second goal - his 50th in the Premier League - and Sadio Mane made it 4-2 in injury-time after James Milner had been sent off. Max Meyer scored a late goal for Palace but Liverpool held out to extend their lead over City, who play Huddersfield on Sunday, live on Sky Sports. It was City's surprise defeat to Palace in December that had initially swung the title race in Liverpool's favour, and Jurgen Klopp's side battled hard to ensure they did not lose any of their advantage. 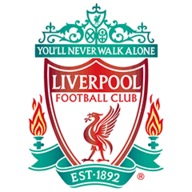 The hosts controlled possession from the start and went close in the eighth minute when Milner slipped a pass into the box for Joel Matip, who saw his shot smothered by Speroni. But that was the only save that Speroni would have to make in the first half. Matip and Virgil van Dijk both missed the target with headers before Palace took the lead in the 34th minute, Wilfried Zaha effortlessly skipping past Milner and then pulling back for Townsend to finish with a low shot. Van Dijk headed over shortly afterwards, while Palace players were aggrieved with Salah for seemingly exaggerating contact after a challenge from Mamadou Sakho in the box. Liverpool were quickly out of the blocks in the second half, with Salah flicking in a volley after Van Dijk's shot deflected over the Palace defence. Firmino then made it 2-1 with a scuffed shot, but Palace fought back as Tomkins headed in from a corner. Liverpool made three changes from their win at Brighton as Milner, Keita and Matip replacing Alexander-Arnold, Wijnaldum and Shaqiri. Palace handed a start to 39-year-old goalkeeper Speroni, who hadn't played for the club since December 2017. He featured due to injuries to Guaita and Hennessey. Speroni, making his first start in a year due to injuries to Wayne Hennessey and Vicente Guaita, was at fault for Liverpool's third as he flapped at a cross and Salah finished on the line. Milner was sent off after being booked twice for fouls on Zaha, but Mane scored Liverpool's fourth in the 93rd minute to ensure Meyer's late strike was only a consolation. Salah might have scored twice, but it was Henderson who was the standout performer for Liverpool. The midfielder kept his side ticking over (making more passes in the opposition half than any other player and having more touches than any other player) while also playing a key defensive role. With no FA Cup game next weekend, Liverpool are heading on a warm weather training camp this week. Their next game is at home to Leicester on Wednesday, January 30. 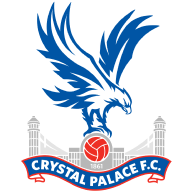 Palace host Tottenham in the fourth round of the FA Cup on Sunday before going to Southampton in the Premier League on January 30.